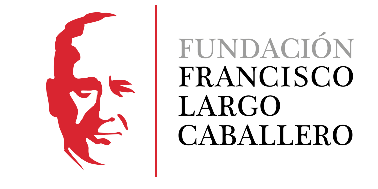 The Francisco Largo Caballero Foundation (FFLC) and the Carlos III University of Madrid (UC3M) jointly organize within the framework of the R & D Project of the National Plan HAR2013-44849-P, “The international path of spanish socialist unionism (1888- 1986) “, the International Conference:” The Trade Unions, in an International Context, 1888-1986 “. The Conference is directed by PhD Manuela Aroca Mohedano (FFLC-UC3M) and PhD Rosario Ruiz Franco (UC3M). 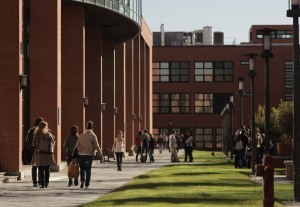 The Congress will be held on November 19, 20 and 21, of 2018 in the Getafe Campus of the UC3M (Hall of Degrees, Rectorate building). Disseminate the final scientific results of the historical research team of the R & D project HAR2013-44849-P (link to the research team), relative to the history of the international relationships maintained by the spanish trade unions under socialist influence. Share the results obtained by abroad research groups that are working in similar topics/areas, and establish contact with other research centers and international universities. Promote research in the field of Contemporary History, specifically about the socialist trade unions in the international context, of the Contemporary History Study Group (GEHCO) from the “Julio Caro Baroja” Historiography Institute of the UC3M. Encourage research related to these topics in students who are currently pursuing doctoral studies, as well as in existing consolidated university research groups. The thematic area of the Conference will cover the international actions developed by the unions form their early days. The traditional historic interpretations have attributed the responsibility of these international relations to actions promoted by the States. However, the trade unions, despite of being entities born with a clear national character, have promoted supranational groups since their inception, and have maintained bilateral relations with trade union organizations in other countries. Even in some historical circumstances, the support or the international blockade of supranational entities or third countries unions, has been fundamental for the birth, survival and consolidation of national unions. For all these reasons, this International Congress will study the international action of trade unions, in any of its aspects. FREE REGISTRATION: for conference comunicators and assistants. 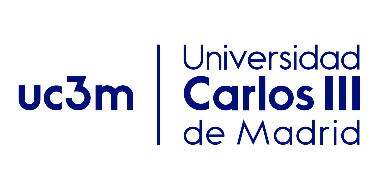 Sessions about issues related to women in trade unionism or gender relations in trade unions, will have academic recognition within the “Stamp of Equality” program of the Carlos III University of Madrid (UC3M).